I have the most delicious eye candy for you today! Not only that... it's completely delightful to read as well. 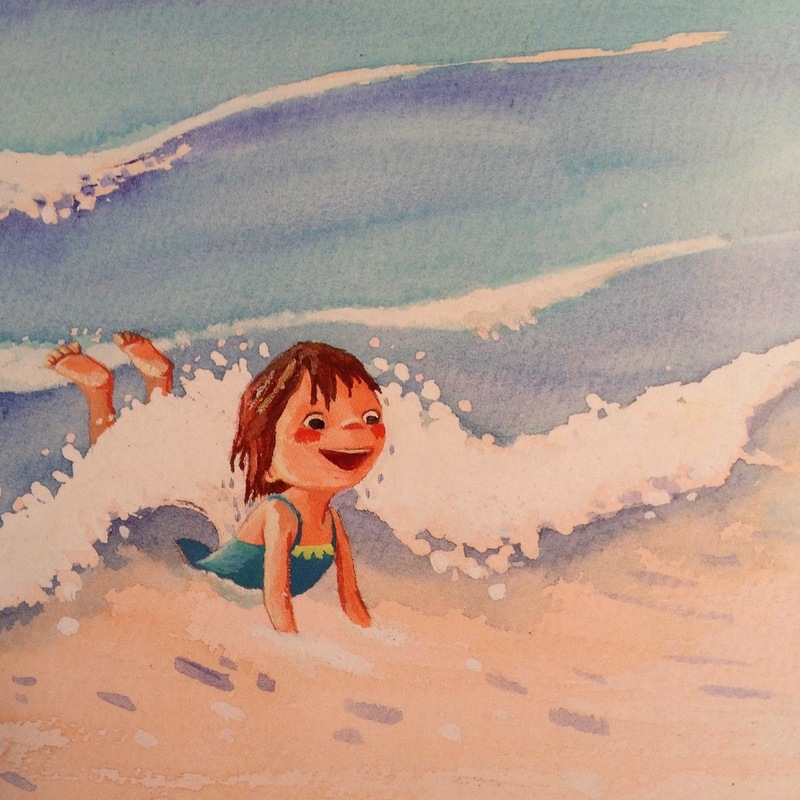 A clever story about a little girl who finds a pair of abandoned mermaid shoes (flippers) at the beach on vacation. 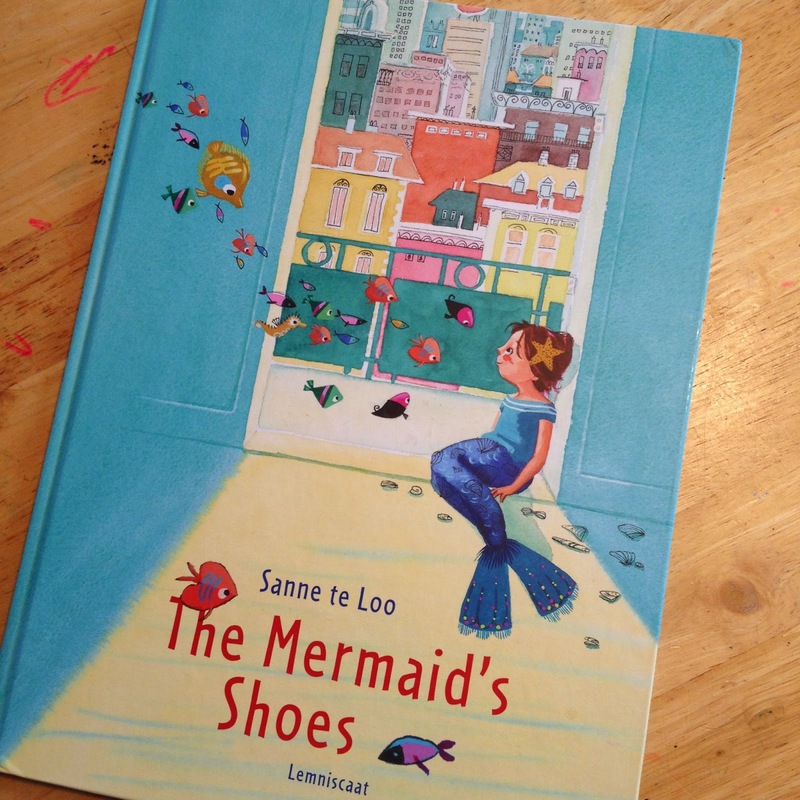 The Mermaid's Shoes was published by Lemniscaat in 2014 (first published in the Netherlands in 2012). It's an absolutely gorgeous book. Written and Illustrated by Sanne te Loo, it's an oversized book and you will want to POUR over the detailed illustrations. In the story our little self proclaimed mermaid tries to find a home away from the sea… she searches the city for the right place. It ends with such a clever twist. Very relatable! Find a copy of this book. You're going to love it!